I absolutely love the citrus and garlic flavors of Cuban Mojo Pulled Pork! It is the best combination of tangy and savory flavors. The term “Mojo” translates to sauce in the Spanish language. In Cuban cooking, Mojo is any sauce that uses olive oil, garlic, and citrus juices and is typically used as a marinade for pork. Mojo Pork is wonderful served over a bed of rice and accompanied by black beans, or can be used in Cubano sandwiches. Once you try this pork, you will fall in love! Instructions are provided to cook this Cuban Mojo Pulled Pork in a Dutch oven or slow cooker (crock pot) and the pork will cook until it is fall apart tender. Instructions are also included on how to quickly dress up canned black beans to give a little Cuban flavor. 1 bone-in (4 to 6 pounds) pork shoulder, trimmed of excess fat. Preparing Mojo Sauce: In a large bowl, combine the orange juice, garlic, lime zest, lime juice, cilantro, oregano, 1/4 cup olive oil, vinegar, white wine, cumin, sugar, and salt. Whisk together until combined; set aside. Preparing Pork Shoulder: Rinse and pat dry the pork shoulder. Cut the pork shoulder into large 3-inch cubes of meat and sprinkle with salt. Add the pork cubes to the bowl of prepared Mojo Sauce and immerse meat in the marinade. Cover bowl with plastic wrap and place in refrigerator to marinade for at least 4 hours or overnight. Remove pork from refrigerator 30 minutes before ready to cook to bring meat to room temperature. Place Dutch oven on stove over medium-high heat. Add 1/4 olive oil to Dutch oven. Once olive oil is heated, add pork cubes (reserving the marinade) and cook until meat is browned on all sides. May have to cook in 2 to 3 batches to make sure meat is not overcrowded for faster browning. As each batch of pork is browned, remove pork from heat and set aside. Once all pork is browned, add all pork back to Dutch oven and pour remaining Mojo marinade over the pork. Cook until marinade just starts to boil. Reduce heat to medium-low and cover Dutch oven with lid. 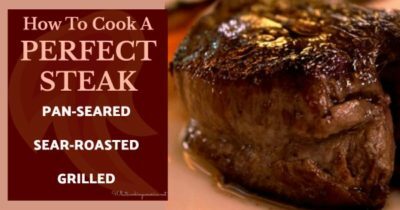 Cook meat on stove for 2 hours, lifting lid and stirring occasionally to rotate pork in marinade or until pork is fall apart tender. Using forks, pull pork into smaller strands and stir together with the marinade until completely combined and flavor is evenly distributed throughout pork. Add additional salt to taste. Preheat Slow Cooker on high heat. Place pork cubes and all the Mojo Sauce marinade into the slow cooker. Cover with lid and turn slow cooker down to low heat. Cook on low for 8 to 10 hours or until pork is fall apart tender. If cooking on high heat, cook 4 to 5 hours or until pork is fall apart tender. Using two forks in a motion that is pulling away from each other to separate the meat into smaller strands and stir together with the marinade until completely combined and flavor is evenly distributed throughout pork. Add additional salt to taste. Serve pork over rice and black beans (see instructions for Cuban flavored black beans below) and garnish with fresh cilantro and shredded cheese. Serve pork with Cuban Sandwich. In medium sauce pan over medium heat, combine black beans, cumin, onion powder, mojo sauce. Stir together to combine. Bring beans just to a boil; turn heat to medium-low. Salt beans to taste. Let simmer until ready to serve. You are using the lime juicer the wrong way, the lime half go in with the pulp toward the holes.